Timber Wolf Rustic Bone Trapper Pocket Knife - Stainless Steel Blades, Jigged Bone Handle, Double Lockback | BUDK.com - Knives & Swords At The Lowest Prices! 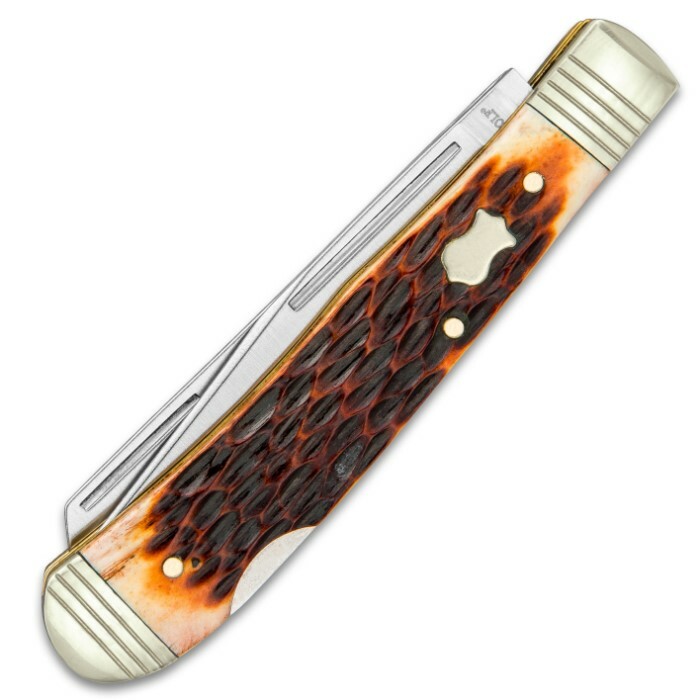 Our Timber Wolf Rustic Bone Handle Trapper Pocket Knife has a classic, Old World feel that is appealing, especially, to the traditionalist. 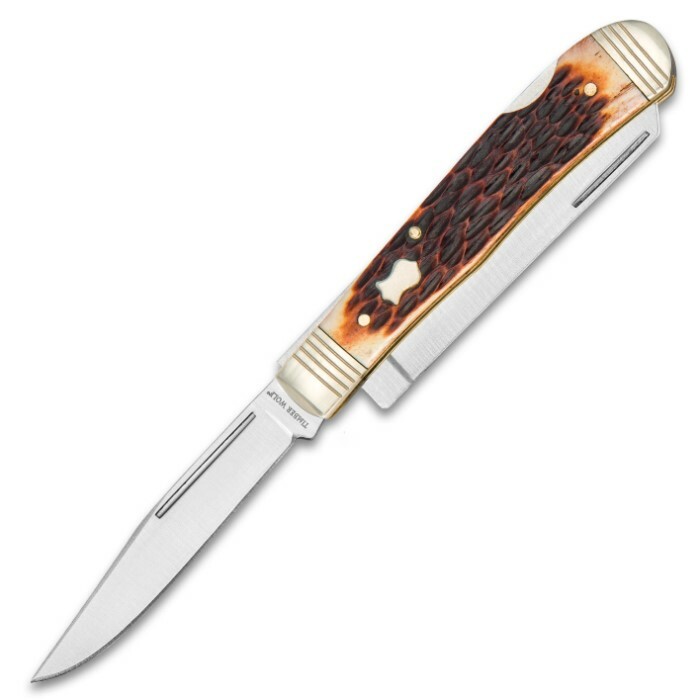 It has an attractive brown handle crafted in genuine jigged bone, which is complemented by nickel silver bolsters and a brass liner. Assuring you a lifetime of use, the two razor-sharp blades are of rust-resistant 440 stainless steel and the pocket knife has a double lockback design. 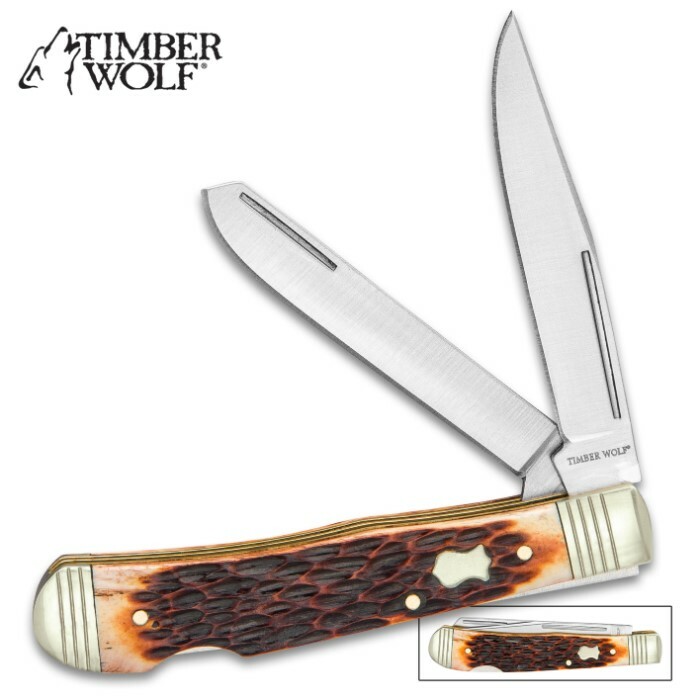 When you’re looking for a meaningful gift that will really last, you just can’t go wrong with the Timber Wolf Rustic Bone Trapper.